West Palm Beach, FL – August 2, 2011 – BG Strategic Advisors is pleased to announce that Waste Management, Inc., the leading provider of comprehensive waste management services in North America, has acquired Access Computer Products, Inc. and Mordell, L.L.C., two leading providers of reverse logistics and remarketing services for cell phones, ink and toner cartridges, and computers. BG Strategic Advisors acted as the exclusive financial advisor to Access Computer Products and Mordell in this transaction. Access Computer Products and Mordell, with 110 employees, are headquartered in Loveland, Colorado. 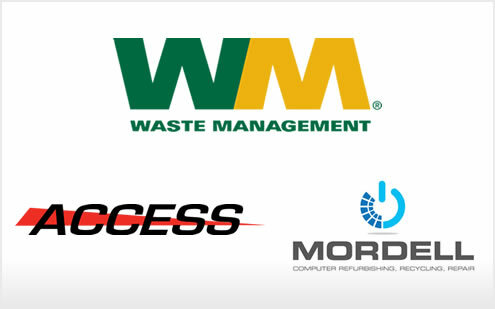 Access Computer Products and Mordell, based in Loveland, Colorado, are two leading providers of reverse logistics and resale services for cell phones, ink and toner cartridges, and computers. For more information about the companies visit www.accessftc.com and www.mordell.net. 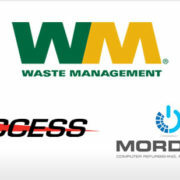 Waste Management, Inc., based in Houston, Texas, is the leading provider of comprehensive waste management services in North America. Through its subsidiaries, the company provides collection, transfer, recycling and resource recovery, and disposal services. It is also the largest residential recycler and a leading developer, operator and owner of waste-to-energy and landfill gas-to-energy facilities in the United States. The company’s customers include residential, commercial, industrial, and municipal customers throughout North America. To learn more information about Waste Management visit www.wm.com or www.thinkgreen.com.